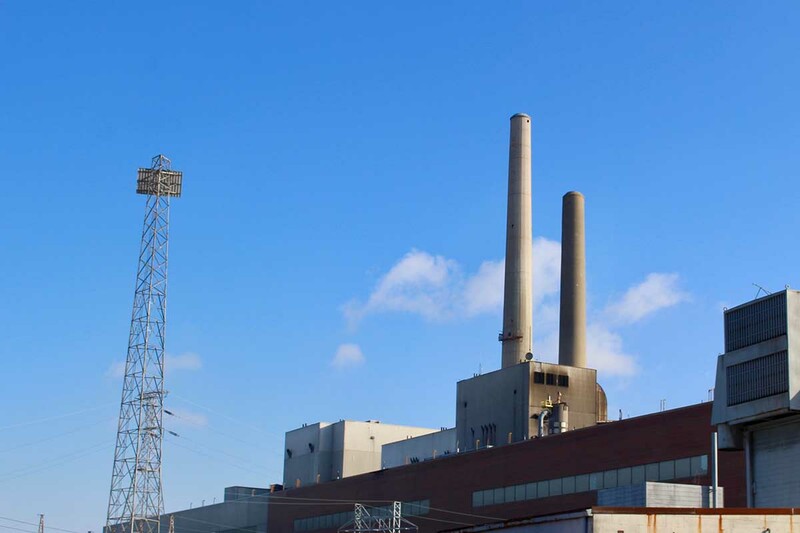 LANSING — Michigan utility regulators are nearing a deadline to decide DTE Energy’s proposal to replace an old coal plant with a $1 billion natural gas one in St. Clair County, plans that have drawn fierce pushback from environmentalists. Many of the arguments before the three-member Public Service Commission are complicated, including how best to deliver reliable electricity at low prices to DTE Electric’s 2.2 million customers. In the case’s final stretch, both sides have increasingly focused on a simpler question: Must DTE comply with new state guidelines for proving power plants meet the public’s interest? The deadline is April 27. DTE says no. Its opponents — including Michigan Environmental Council and the Environmental Law and Policy Center, a nonprofit group focused on the Midwest — argue otherwise. The stakes are high. DTE calls the plant a key piece of its plan to keep the lights on while weaning itself from high-polluting coal in favor of cleaner, cheaper fuel sources: a combination of natural gas and renewable resources. “In order to get this plant up and running — so it could serve our customers with reliable, clean affordable generation — we need to keep this process moving,” said Trevor Lauer, president and chief operating officer of DTE Electric. DTE’s critics argue natural gas — cleaner than coal, but still a fossil fuel that emits greenhouse gases speeding climate change — should play a smaller role in the utility’s energy mix as renewable energy technology improves and prices fall. “It’s a key decision that really is going to define the future, the next 20, 30 years for Michigan,” said Bill Rustem, a former adviser to Gov. Rick Snyder and a environmental policy expert who is advising the Michigan Environmental Council in the dispute. Why wouldn’t DTE need to meet the commission’s new standards for energy projects? It’s a question of timing. DTE filed its application to build the natural gas plant last June. That was two months after new energy laws went into effect, but before the Public Service Commission finalized the guidelines in December. DTE is “not required to be clairvoyant or otherwise foresee and comply with future requirements,” the utility wrote in a filing last month. In April 2017, landmark legislation went into effect that required utilities like DTE to submit “integrated resource plans” (IRP) to the Public Service Commission for approval. These are essentially roadmaps for ensuring reliable, lowest-cost options for customers. The law required the Public Service Commission to update its guidelines for evaluating those plans. That wasn't completed until December. In the interim – after the law went into effect but before the commission updated its guidelines – DTE proposed its 1,110 megawatt plant in St. Clair County to power 850,000 homes when it goes online in 2022. Staff experts at the Public Service Commission agreed with critics' arguments that DTE didn't fully consider whether ratepayers would best be served instead by a new mix of renewable resources, energy efficiency and “demand response,” which involves paying customers to cut their usage at peak hours. Without that analysis, Naomi Simpson, a commission staffer testified that staff had “no way of knowing” whether such a project — instead of a gas plant — would save ratepayers money. In theory, it could further diversify DTE’s energy mix and “minimize the risk associated with potentially volatile natural gas prices,” she wrote. Commission staff asked DTE to analyze the model, but the utility declined. The utility argued assumptions under that model were unrealistic and the analysis wasn’t required under the former standards that should apply in its case. Despite the criticism, commission staffers recommended the plant’s approval, because the application arrived before the new standards. Otherwise, “staff has pointed out ample reasons for such a rejection,” wrote staffer Paul Proudfoot. The recommendation doesn’t sit well with DTE opponents, who say approval on those grounds would almost surely trigger a legal challenge. “If you can’t recommend approval (under the new requirements,) you can’t recommend approval of what was filed four months ago,” said Margrethe Kearney, a senior attorney for the Environmental Law and Policy Center, a legal advocacy nonprofit focused on environmental issues in Midwest. Lauer, the DTE executive, said the utility’s analysis was exhaustive, and he called the shortcomings flagged by PSC staff minor. Lauer said DTE started planning for the natural gas plant as far back as 2015 and did its best to anticipate guidelines even before the law was changed. DTE will meet the standards on all future projects, Lauer added. The dispute comes as DTE and utilities across the country are rapidly shifting away from coal power to cut carbon dioxide emissions and deciding how best to fill the void. DTE generated 61 percent of its electricity from coal as recently as 2016. But it recently announced plans to slash carbon dioxide emissions by 80 percent from 2005 levels by 2050, with a mix of new natural gas and renewable generation. The utility plans to retire of 11 of its 17 coal-fire generators within five years, following the blueprint of large utilities cross the country. The state’s other mammoth utility, Consumers Energy, announced plans this year to slash its carbon dioxide emissions by 80 percent and burn zero coal by 2040. Let's go with the natural gas plant. An official review of Britain's energy policy said they could have reduced carbon dioxide emissions for far less than the 100 billion pounds they spent on renewable energy by switching to natural gas. And it appears that spending one trillion euros on green energy was not a wise investment on Germany's part. They are now faced with the regrettable necessity of building coal generating plants to keep the lights on. Closing all their nuclear plants after the Japanese catastrophe made electricity too expensive for several million German households. Can you need something startup new? Look at this website. Only there the choice of girls for every desire and completely free! They are good slaves, they will and want perform anything you order !